I am back. I’ve been fighting some terrible allergies for the last month or so and finally they beat me down. But after popping some horse pills, I am back in the game. I trust that everyone had a great Memorial Day weekend with lots of cigar smoking, grilling out, hanging with friends and family, and, most of all, remembering those who paid the ultimate sacrifice so that we may enjoy the freedoms we have in the United States of America. Now onto the review. The Draig K is produced at Nestor Plascencia’s El Parasio factory and is available in four vitolas: Corona (5 1/2 by 46), Robusto (5 by 50), and Toro (6 by50). The K began to hit the shelves of retailers in July of 2012. 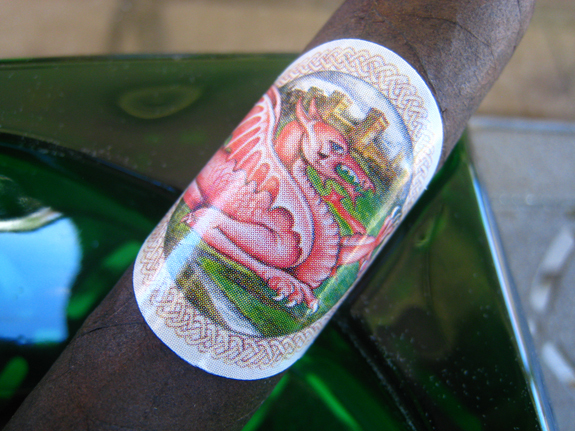 While it is stated to be an “extremely limited” cigar, the Draig K is still available at several online retailers for a price in the $9.00 range. The Draig K sports an extremely dark brown wrapper. 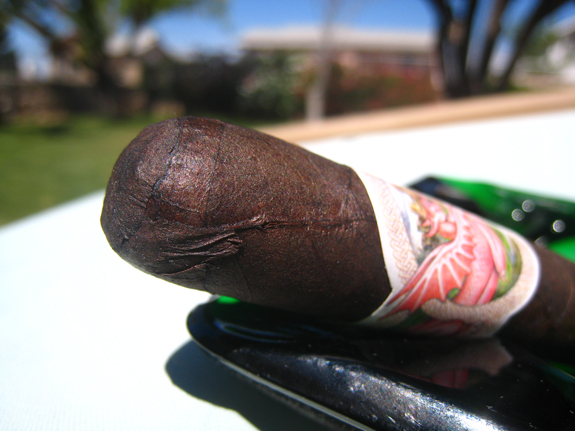 The Oscuro looking, Columbian Maduro wrapper has some medium to large veins and a nice amount of oils. 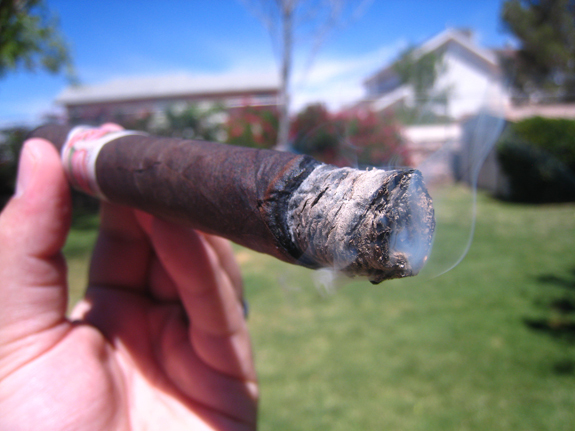 Half of the cigar closest to the foot has some sponginess, while the other half is firmly packed. I hope this doesn’t lead to any performance issues. The triple cap has been applied very sloppily, with some bunching on one side. A shallow cut of the cap has opened up a beautiful, free draw. I got so excited to light up this bad boy that I forgot to do my usual pre-light ritual of checking out the aromas off the wrapper and foot. The burn is off to a crazy start. I was forewarned by a Casas Fumando reader to dry box the Draig K prior to smoking to help alleviate burn issues. 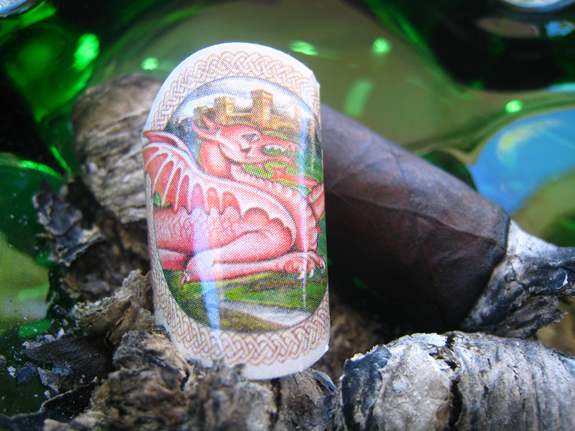 The Draig K has been resting around 60% humidity, a little dryer than normal for me, but it may not have been enough. There is a youngness to the smoke, almost grassy,with a touch of sweetness. Additionally, there are notes of earth, leather, pencil shaving, and pepper, along with a minor spice. The finish of the smoke is of black coffee and a slightly charred flavor.The burn line is all over the place and several touch-ups were required in the first third. The dark grey, flaky ash held to an inch before dropping. The flavors are at the high-end of medium and strength is in the low medium range. No change in the burn as I make my way into the second third. The pencil-shaving flavor is now at the front of the profile, along with the earthiness. The spice is warming my mouth and leaving a slight irritation at the back of my throat. The Draig K has a tanginess to it that is unique and something I rarely pick up on. The retrohale brings out sharp pepper and tons of spice. The finish has become very smokey and reminds me of the smell of a campfire. Halfway into the second third, the draw has become a little more firm and the burn line seems to be correcting itself. I believe I finally reached the area the cigar felt more firmly packed. 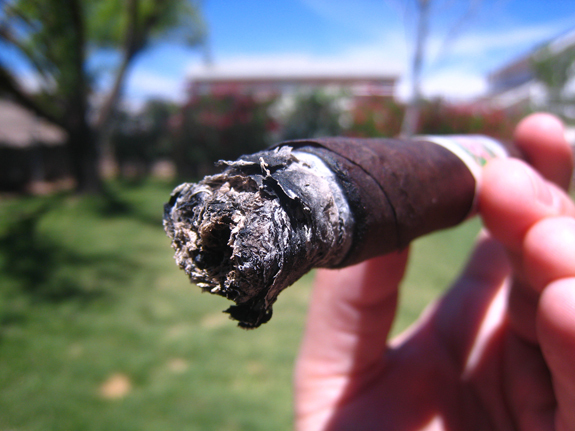 As I examined the ash mid-way through the second third, there seems to have been a void in the middle of the cigar. The flavors are full and the strength is creeping up on me. A smokiness is now dominating the flavor profile. The smoky flavor is something I have picked up on with pipe tobacco but not too often in cigars. It is similar to a fired cured tobacco flavor. The grassy flavor from early on is no longer in the flavor make-up and a good amount of earth and pepper remains. 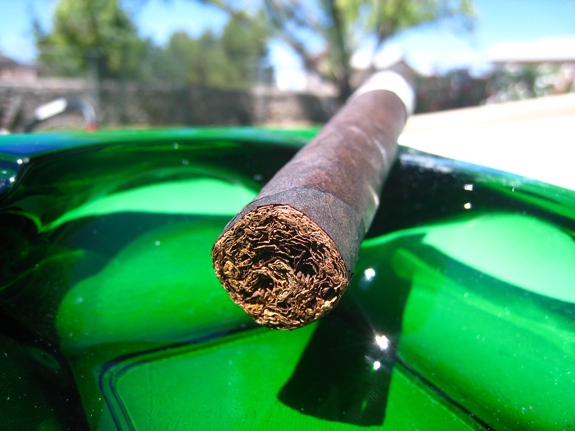 With an inch and a half remaining in the cigar, some chocolate notes pull through and remain on the finish of the smoke. The burn is performing much better at this point but still wavy. After an hour and fifteen minutes, it is time to put the Emilio Draig K to rest. I really wish the Draig K would have blown me away but I was completely unimpressed. While some enjoyable flavors showed up, the smoky, charred-like flavors stole the show. The construction and burn also took away from this stick. I probably touched-up the Draig K no less than ten times. 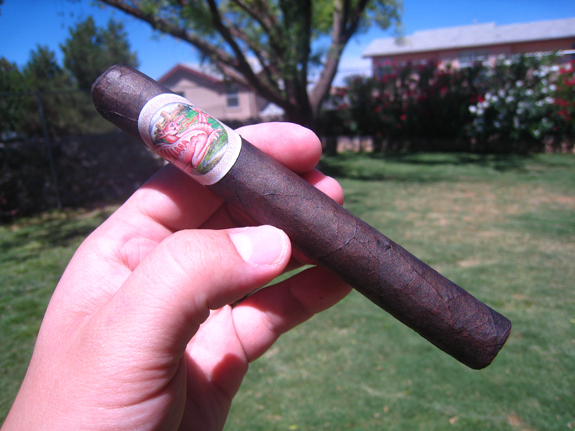 Even if the flavors were more enjoyable, touching-up a cigar so often becomes burdensome. But with that said, I am still a huge fan of Emilio Cigars and several of the other lines Gary Griffith has out. This cigar was just not for me. I will be picking up a couple more if I stumble across them and will provide updates if they provide a different smoking experience. Ryan! How has everything been going? You smoking anything good lately? I was a little bummed with the Draig K but will still be giving it a shot in the other vitolas. Going to do a little searching for the corona size. Sorry you didn’t like it! I love this cigar, and in this size. I’ve met Gary quite a few times (I live 45 mins from his store which has one of the best selections in the Country) he said he always blends for the toro. I am the one that told you to dry box this stick, I usually let this guy sit un humidifier for a day and a half before I light it! Regardless thanks for the review!! I haven’t had a chance to try this one yet, but I appreciate the honest take on it. I’ve dug just about everything I’ve had that Gary has made, or is distributing. Hope the allergies clear up soon! Thanks, Jeff. I’m starting to feel pretty good., Don’t take my word for it, Give the Draig K a shot if you stumble across it. 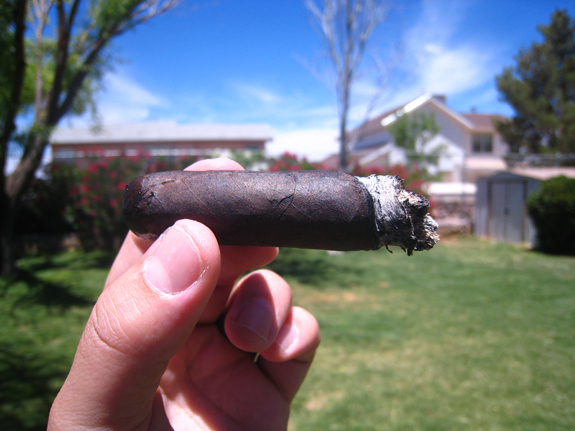 Cigars are so subjective and people may love this stick but take Gabe’s advice and dry box the cigar before smoking.